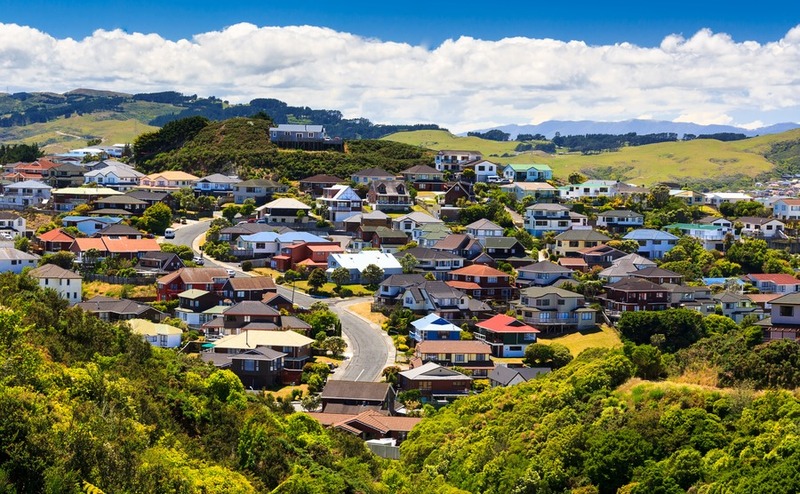 The New Zealand Property Guide considers the effects of a proposed new Bill restricting non-resident buyers snapping up existing property or residential land. When Jacinda Ardern’s Labour government were voted into office last year, they made a promise to New Zealand to fix the country’s housing crisis. Right away, plans were announced to ban non-residents from purchasing residential property. The aim was to reduce the number of investors buying up housing stock, thus allowing residents and first-time buyers a fair go at entering the market. Today we’re looking at the proposed Bill and considering how it will impact those wanting to buy in New Zealand. The government propose enforcing a ban on overseas buyers purchasing existing properties. Why are New Zealand imposing restrictions on foreign-buyers? The government decision is in direct response to house prices in New Zealand growing by more than 60 percent over the course of the last decade. Additionally, land sales in the country leapt up by 600 percent between 2015 and 2016, driven mostly by Chinese buyers. According to the Real Estate Institute of New Zealand, the average price of property in Auckland, the country’s most expensive spot, hit a record high of NZ$900,000 (£473,000) in March 2017. This has since dropped to $880,000 (£462,300). Where 25 years ago, two thirds of New Zealand’s population owned their property, as of 2018 only 64 percent own and this rate is still decreasing. The government have pledged to make the market more affordable. With the Overseas Investment Amendment Bill their first step in pursuit of that promise. Incidentally, New Zealand won’t be the first to implement such measures. Switzerland, Hong Kong and Singapore all have restrictions in place or have imposed additional taxes on foreign buyers. Back in 2016, Vancouver also introduced a surcharge on non-resident buyers. What does the new law propose? In the Overseas Investment Amendment Bill the government propose enforcing a ban on overseas buyers purchasing existing properties. Non-residents investors will still be allowed to purchase new build property. However, under the Bill they will be forced to sell as soon as the properties are completed. If they wish to buy property in New Zealand that already exists, they will need to seek permission from New Zealand’s Overseas Investment Office. The proposed legislation will restrict non-residents from purchasing existing property or residential land. Additionally, the proposed Bill will reclassify all residential land as ‘sensitive’. This means only NZ and Australian citizens and permanent residents will retain the right to purchase it. 2 – New Zealand permanent residents who are ordinarily resident in New Zealand at the time of entering into a contract of sale. To be classified ordinarily resident, you must have lived in New Zealand for the preceding 12 months and have been physically present in the country for a minimum of 183 days during that 12-month period. As a non-resident, how can I secure approval from the OIO? If you are ready to buy in New Zealand, you’ll have a few financial matters to sort out. For advice on getting the best currency deal download the Property Buyer’s Guide to Currency. What does the Bill mean for non-resident buyers? Unless you meet the above criteria, you will not be able to buy property in New Zealand as a non-resident. If you have a permanent resident visa or an alternative residence visa, the proposed bill does provide a way to own property even if you’re not ordinarily resident as long as you can prove you’re ‘committed to living in New Zealand’. Should you fall into this category, you will be allowed to buy property in New Zealand. This mus be a single property for use as your main home. If you stop living in the country at any stage, you will be legally required to sell. As it stands, parents of people with residence status won’t be able to buy in New Zealand. Unless they can meet the above criteria, for example, by having their own emigration plan in place. Unless you meet certain criteria, you will not be able to buy property in New Zealand as a non-resident. As the Bill is still being reviewed, we’re yet to know what regulations will apply to those needing to demonstrate they are ‘committed to living in New Zealand’. Most likely, residents will be asked to show proof of steps taken to move to the country. As well as proof of specific time frames involved and when they are likely to become resident in the country for tax purposes. Watch this space. When will the Bill be in place? The Bill is currently being rushed through parliament. It needs to be complete prior to the Comprehensive and Progressive Agreement for Trans-Pacific Partnership comes into effect. This is a free trade agreement involving eleven Asia-Pacific countries. This is currently scheduled for the first half of 2019.